A graduate of the University of Toronto’s Music Performance program, and trained as a Royal Conservatory artist-educator and certified Suzuki teacher, Alexandra Lee has matured into a consummate performer and pedagogue. 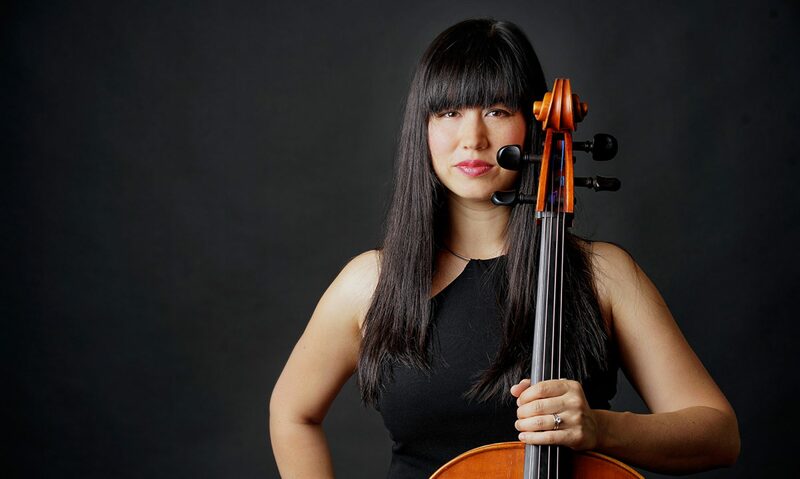 At home in a multitude of musical genres, Ms. Lee and her cello have collaborated on projects in various genres such as classical, avant-garde, jazz, and pop, as well as her newly-cultivated passion for children’s music. When asked what is her favourite music, she often says “the one on my music stand”, showing her dedication for each project she embarks upon. Since September 2017, she has moved to Nanaimo, BC with her family, and teaches at the Nanaimo Conservatory of Music. Alexandra has spent much of her professional career building on her love of classical chamber music. During her time as cellist of the Silver Birch String Quartet (2004-2016), she has three recordings and has received several accolades including both Juno and Félix nominations (2010). With the SBSQ, she has had the pleasure of collaborating in concert with many of Canada’s prominent musicians and composers, such as Tanya Tagaq, Peter Longworth, Alexander Sevastian, Patricia Cano, Brian Current, Yoko Hirota, Robert Lemay, Brian Harman, John Roney, and Miles Black. Alexandra is the driving force behind the creation of the chamber music organization City of Lakes Music Society (est 2017), and continues her work with them as instructor and artistic director for their summer String Retreat for adult amateur musicians. Serving as Principal Cellist for the Sudbury Symphony Orchestra (2004-11, 2015-17) and freelancing with orchestras all over Ontario, she has an appreciation for the role of symphonic arts in the community. She is at home under the high standards of a professional orchestra, as well as serving as a guide and mentor to community orchestras. Over the years, she has also been featured as a soloist with orchestra (Haydn: Cello Concerto No. 1, Elgar: Cello Concerto, Boccherini: Cello Concerto, and a contemporary cello concerto “Unapproachable Light”written for her by Nick Akers). Her passion for the cello has brought forth innovative projects that introduce the instrument to new listeners, and cross-pollinate between genres and communities. Some such projects include: Cello Café, a family-friendly “open-mike” style performance opportunity for amateur cellists; Contes d’un violoncelle / Cello Tales, a unique bilingual performance designed to foster children’s love of cello music and storybooks; Cello Steps, a cello and dance project involving a dance-mob to the music of Bach; and, in close consultation with special needs professionals and a music therapist, a run of Sensory Friendly Concerts. Alexandra performs on a 1996 cello by Hratch Armenious.